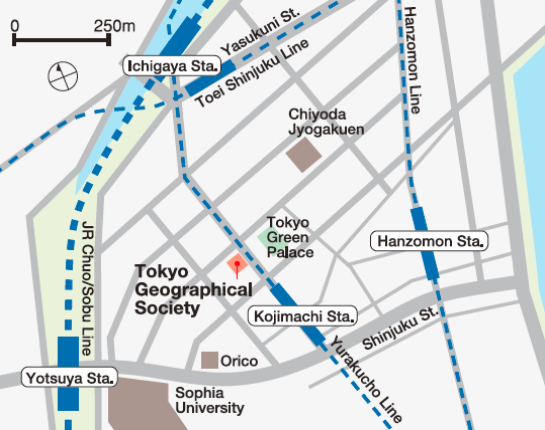 The Tokyo Geographical Society is a learned society comprising professionals and students in geology, mineralogy, geography, geophysics, and geochemistry (approximately 800 members). The founding concept of the Society is to contribute to the advancement of geosciences in a wide scope of related fields including; natural and social sciences, humanities, and engineering and to the public dissemination of the fruits of such research. Our society was founded in 18 April 1879. Soon after the Meiji Restoration, Hiromoto Watanabe (1848-1901) and Takeaki Enomoto (1836-1908) were in Europe on diplomatic missions and learned that geosciences were playing important roles in national development of the advanced countries. 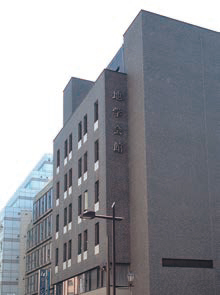 And upon their return to Japan, they established the Tokyo Geographical Society modeled after the Geographical Society of London (the Royal Geographical Society). Prince Yoshihisa Kitashirakawa (1847-1895) was its first President. 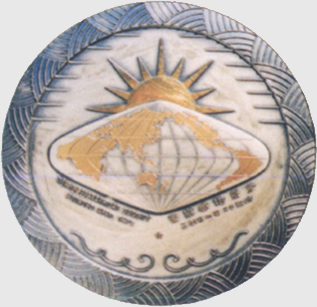 The above initial concept has been inherited and the major objectives of our present activities are the promotion of geosciences and geoscientific outreach through researches and surveys, study tours, excursions in Japan and abroad, lectures meetings for professional scientists and for the public. The publication of the Society at the time of founding the “Report of the Tokyo Geographical Society” was subsequently developed into its successor the “Journal of Geography (Chigaku Zasshi)” which was first issued in 1889. Volumes published to date (2013) amount to 122 and the papers can be read at Journal@archive, J-STAGE. 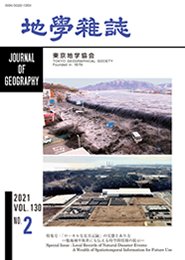 Special issues on themes of particular interest to science and the public such as “Geotectonic Evolution of the Japanese Islands under New Paradigms of the Next Generation” (2010, 2011), “Urban Climate” (2011), “Geography in the World” (2012), and “Changing Natural Environments in the Japanese Alps Region” (2013) are published regularly. As a part of our outreach program, open scientific lectures are held regularly in the spring and autumn for together with special lectures when appropriate. In these sessions, specialists discuss, in ordinary language, issues of interest and importance to the general public such as natural hazards, climate variation, natural resources and interdisciplinary subject. Some of the themes presented recently include diverse subjects such as; “Various views about a location of the ancient state Yamatai and positioning survey at the age” and “Kenji Miyazawa (1896-1933, Japanese poet and novelist inspired by geology) and Western China: past and present”. Geoscience club is a monthly event designed for the promotion of geosciences as well as a social function among the members and others. Geoscientists engaged in first-rate research are invited to present the state-of-the-art research results in a relaxed and informal atmosphere. The society introduces geo-experts among the society members according to the requests of national and local governments, schools or NPO’s as one of the philanthropy of the society. Geo-expert promotes a lecturer of a meeting, a member of a committee, a guide of an inspection trip or a thematic travel in the geo-science field. The Society conducts a week to ten days excursion to geo-scientifically interesting spots of the world once a year and a day to several days trip to geo-spots and geoparks within Japan. All of these excursions are led by experts well-informed regarding the locality. 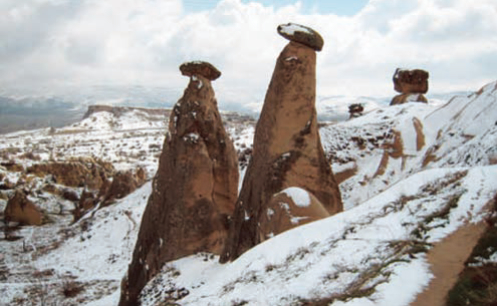 “Geological and archeological field trip to Turkey”, “Tsukuba mountain area geo-tour”, “Field inspection trip of earthquake outcrops, volcanos and glaciers in California”, “Australian geo-tour”and “Oman geo-tour”are late our excursions. The following fund supports are provided to the society members. (1) Geoscience research (10~15 themes per year) in four categories of; general members, senior members, young members, and foreign members. 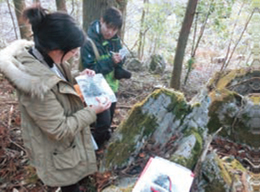 (2) Outreach activities, such as development of teaching methods and teaching materials in geoscience field (1~3 themes). 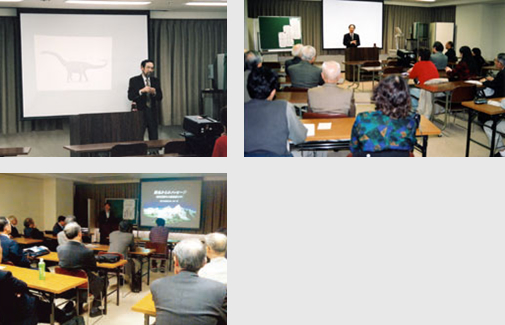 (3) International geoscience meetings held in Japan (1~3 themes). The Society awards honors to individuals and groups both within Japan and abroad who contributed significantly to the development and dissemination of geosciences. 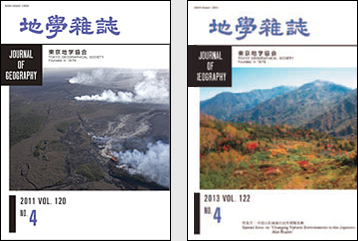 The society distributes, together with Journal of Geography, the following publications of the Geological Survey of Japan, AIST. Geologic maps and explanatory texts of 1:50,000, 1:75,000, 1:200,000, 1:1,000,000, 1:2,000,000 scales. Marine Geology Maps, Volcano Geology Maps, Hydrogeology Maps, Tectonic Maps, Active Structural Maps, Gravity Maps, Digital Geologic Maps (CD-ROM), Index maps, etc. We welcome people who are engaged in geoscience work, education, research, and those interested in geosciences in general to join our Society. By becoming a member and paying yearly fee of \5,000, the members will receive our bi-monthly publication “Journal of Geography” and upon request receive information on regular lectures, geoscience club, and geoscience expeditions. Also members can apply for research grants, publish articles in our Journal of Geography. For details regarding membership application, please consult our website. 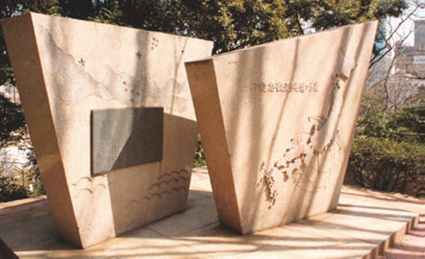 The monument in Shiba Park Tokyo was reconstructed by the Tokyo Geographical Society in 1965.